The article examines recent debates surrounding public sociology in the context of a UK based Department of Applied Social Sciences. Three areas of work within the department form the focus of the article: violence against women and children; community-based oral history projects and health ethics teaching. 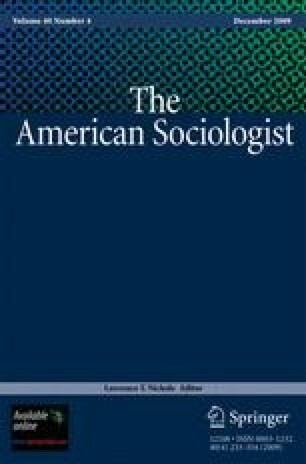 The article draws on Micheal Burawoy’s typology comprising public, policy, professional and critical sociology, and argues that much of the work described in the case studies more often lies somewhere in between, in the interstices, rather than within one or other of the four types. The result is not without its tensions and dilemmas, some of which are identified and explored, notably those arising from attempts to appeal to diverse audiences and meet the sometimes conflicting expectations of each.